Are you aware that 90 percent of dental insurance policies are founded on the calendar year? That usually means that benefits do not accumulate or carried over to the subsequent year; therefore, you must use the benefits by 31st December, or they are wasted. The deductible is the amount you pay from your pocket before your dental benefits become active. The fees vary depending on the insurance company. Nevertheless, you are required to pay every year the amount stipulated by the company before you start enjoying the advantages of your benefits. To put it more explicitly, it might be more convenient to put off seeing the dentist now and push that appointment to after the holidays. However, after January 1st you’ll have to pay your deductibles before benefitting from the insurance plan. 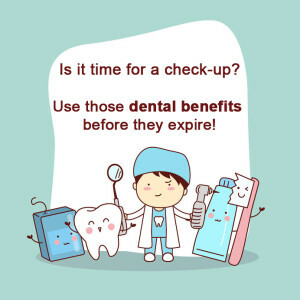 Avoid this additional expense by visiting the dentist during the present calendar year. On a yearly basis, you are given a maximum of what you can spend on dental care. Though the amount varies between insurance providers, most of them restrict yearly dental spending to an average of $1000 per person. These insurance maximums renew on January 1st, and all available benefits are lost. Another reason you should make that dentist appointment is that the dental plans might change in the New Year. It is usually possible that the dental policy fees will be raised or the plan will offer different benefits in the coming year. If this happens, then you would wish that you had used the benefits you had. When you are paying for the dental benefits, then typically you should use them. Most people on dental insurance policies do not take advantage of the benefits gained from their plans. This enables dental insurance providers to pocket all your available benefits. It’s no secret that dental problems don’t become better with time. Take advantage of many insurance covers that include preventive dental care, such as x-rays, cleaning, and 100 percent checkups. Regular use of dental benefits before they expire can help you evade serious issues down the road. Visiting the dentist could disclose possible concerns such as gingivitis, oral cancer, or cavities. Putting off the regular dental exam could escalate small issues into bigger, painful, and expensive oral problems. In sum, if you still have unused dental insurance benefits, take advantage of the remaining days and make an appointment with us. Apart from losing the annual benefits, the trip to the dentist might prevent serious dental concerns in the long run. Find a Devoted Family Dental near you.